American Keg Company in Pottstown is the last company in the U.S. to fashion beer kegs out of American stainless steel. Tariffs imposed by the president are unlikely to help it stay in business. The only company in the United States making beer kegs fashioned from American steel is struggling to survive. The president's newly signed levies on imported steel are unlikely to help. The American Keg Co. of Pottstown — its prices undercut by kegs imported from China, France and Germany — slashed its workforce by a third earlier this year. Only 20 people now work where 30 were once employed. "The cost of an imported keg just barely covers the raw materials on one of ours," said CEO Paul Czachor. "It's very difficult to compete." Now the CEO thinks otherwise. 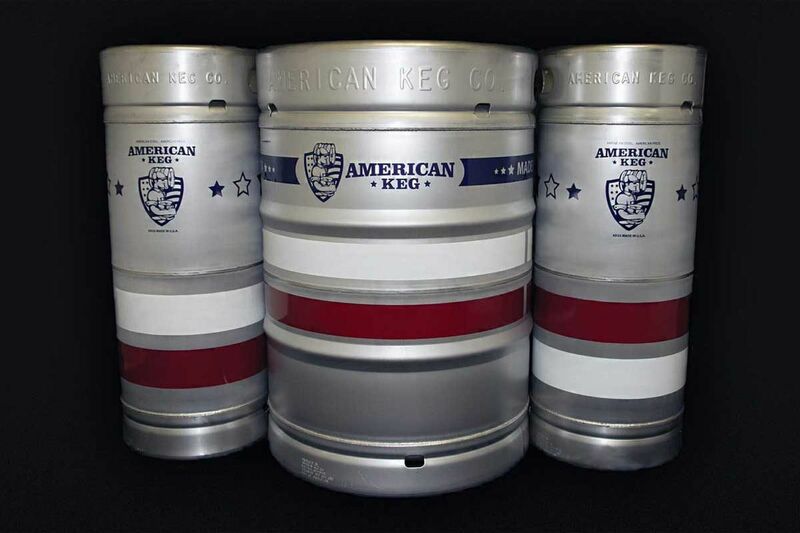 American Keg Co, in Pottstown is the last company in the U.S. to fashion beer kegs out of American stainless steel. Tariffs imposed by the president are unlikely to help it stay in business. Trump signed an order Thursday imposing sweeping new levies on steel and aluminum produced outside the nation's borders. He exempted steel and aluminum from Canada and Mexico from the new tax. "Tariffs will inadvertently drive the price of American steel higher," said Czachor. "Within a year, we might have to raise our prices so our kegs cost 30 percent more than an import. That puts the whole business in jeopardy." But if the price of imported steel is inflated with a de facto tax, shouldn't that make American-made products more competitive? No. And the reason is counterintuitive, said Czachor. He believes the cost of American steel will rise while "American businesses will suffer," he said. "If there were no tariffs, that would keep the domestic steel prices lower," Czachor said. "We understand the administration is trying to solve a problem, but it is not holistically getting addressed." The newly enacted taxes will not apply to finished steel products produced outside the U.S., Czachor said. And that's where he sees the real trouble. Imported kegs, tools, and heavy equipment are not subject to the new tariffs. "Downstream imported products, made outside of the U.S., that use a lot of steel, will still be priced cheaply," he said. "If the Chinese make lockers for a high school, people can import them with no tariff. The imported kegs will still come in using low-cost steel." Czachor is correct, said Matt Gold, an adjunct professor of law at Fordham University and a former deputy assistant U.S. trade representative. "The new steel tariffs apply to the metal in raw or unfinished forms, like rolled steel or steel plates or tubes," Gold said. "It does not apply to finished products made of steel, like steel beer kegs or steel door hinges." And when the price of imported steel rises, "the price of American steel on the U.S. market will rise," mirroring the cost of the imported product and raising costs for firms that use that steel, said Gold. American Keg supplies a large portion of the 7,000 craft brewers, wineries, and cider makers nationwide. The company counts Cape May Brewing, Sly Fox, and Levante Brewing among its regional customers. A standard American half-keg sells for about $115, he said. An import runs closer to $95. "Our customers love the fact that our kegs are American-made, produced by American workers and built from American steel," Czachor said. "But they're only willing to pay so much of a premium." Ryan Krill, CEO of Cape May Brewing, said he valued American Keg's customer service and story. "We try to source local," Krill said. "We're not trying to beat out the absolute last penny. They're easy to work with and very competitive in their pricing." Bob Pease, president and CEO of the national Brewers Association, said its 6,000 members prefer to buy American. "There's a preference within the craft-brewing community to support independent American business. That ethos is there for sure," said the Boulder, Colo.-based Pease. "That said, you've got to meet payroll before you support social responsibility. If someone can get a product for a cheaper price, many people will do that." If American Keg can build more of a market, Czachor said, he would love to hire back the 10 workers laid off this year. Czachor would endorse tariffs — the tool he is complaining about — if they were more targeted and complete. "We're going to need the administration to impose tariffs on downstream steel products," he said. "We would put our engineers and production employees up against anyone in the world, but you have to have a level field. "We need tariffs on imported kegs."